If you have been following my Ultimate Thanksgiving Prep Series, you will know that I have been teasing you with a Master Gluten-Free and Allergen-Friendly Thanksgiving Shopping List to go along with the menu that I have shared here over the last two weeks. I hope this list is helpful to you if you are making any of the recipes from our family’s menu. And from My Family To Yours, I wish you all an AMAZING THANKSGIVING HOLIDAY! I hope you all have so very much to be grateful for this year. I know, for certain, that I am so grateful for all of you. Your comments and your support mean more than you will know. Thanks for your thansgiving inspiration, I hope you have a lovely holiday. I can’t believe how much effort you have put into this — even a shopping list. The collage is beautiful as well. Thanks so much for sharing your recipes with us. I am making your stuffing this year — as well as several other items. I know you should never “try” a recipe on guests — but everything sounds like it will work!!! Hi Saundra! Thanks so much for the kind words! 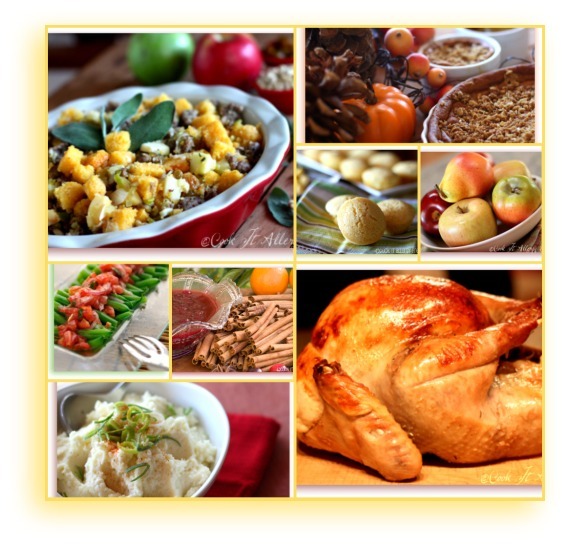 I hope the recipes turned out for you and that you had a beautiful Thanksgiving holiday! Hi Doris! I hope you enjoy the recipes. Let me know if you have any questions! Happy Thanksgiving!